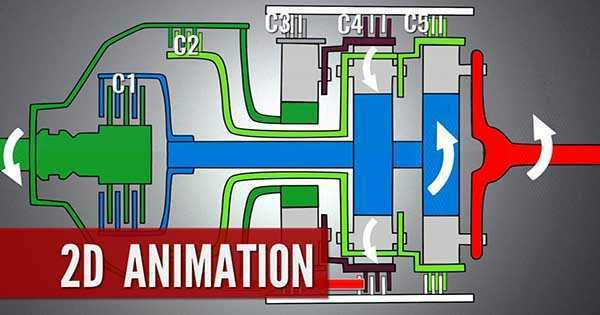 Automatic Transmission Rests On The Most Basic Transmission Principle And Here Is How It Works! - Muscle Cars Zone! Automatic Transmission Rests On The Most Basic Transmission Principle And Here Is How It Works! All the vehicles in the world have working systems that rely on basic principles of transmission, but seeing as how automatic transmissions are the most widespread and by far the most popular way to drive, we`re going to take a look at the transmission principle that enables this way of working to function perfectly. To demonstrate this, the engineers in this video took a transmission developed by Allison Transmissions. Basically, all automatic transmissions work on a planetary gear set, which is one of the most complex parts of the car, having two inputs and one output and being rotated in the shape of the solar system. The inputs are connected to the ring and sun gears, while the output is connected to the planet carrier. When talking about this transmission principle, you have to take into account that usually, all of the gears in the planetary gear set will move as a single unit up until you rotate the input gears opposite of the output gear, which will result in a reverse gear. All you need to do to make this work is throw in some clutch packs. However, the input and the output shafts are not connected to each other, instead having an intermediate shaft between them. When it comes to shifting speeds, everything is about which clutch pack is applied – if it`s the one on the input or the one on the output. Either way, you end up with a faster or slower gear, depending on what you need at the moment. Read and learn more on automatic transmission, here!